Expectations could not have been higher for the director (and former Key and Peele comedian) Jordan Peele after his debut film Get Out (2017), a clever horror-satire and bona fide cultural phenomenon that beckoned white Americans to reevaluate their hypocritical liberal attitudes toward race relations. 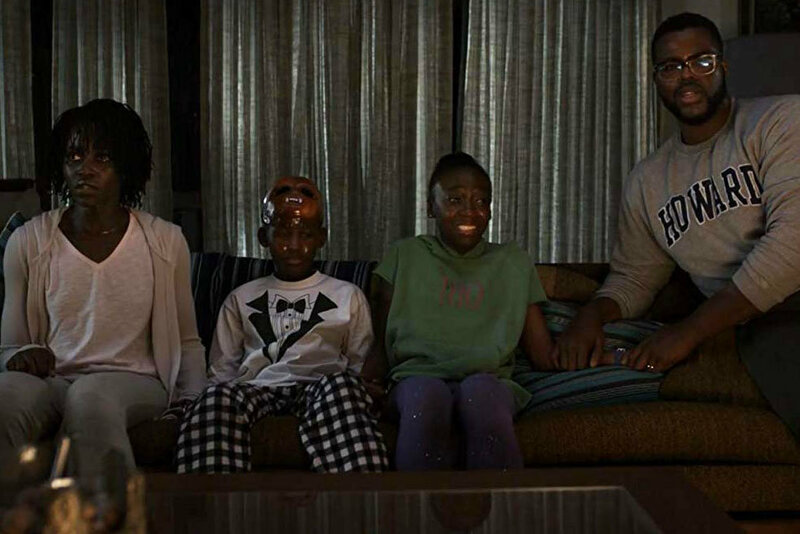 For a man whose comedic chops were formidable in their own right to immediately pivot into horror, and to do it with such undeniable confidence and vision, quickly made Peele into one of the most fascinating cinematic stories of the 2010s. Us, Peele's ambitious sophomore effort, is his chance to make good on that promise on the eve of a new decade (and, notably, a new and already-bloated election season). The so-called sophomore slump notwithstanding, the director's second feature film also has higher pressures relating to his newfound status as a prophet for black America; although box office numbers have proven that non-black audiences adored Get Out too, his work, even dating back to Key and Peele, has always been distinctly for and about black Americans. Considering all this, Us is a smashing success. (Not only are reviews great, but it made $70 million on its opening weekend.) It's a much murkier and more labyrinthine work than Get Out was, but it's somehow funnier, too, and with a trove of easter eggs to satisfy the most ardent horror nerds. Peele is obviously among that class; Us's numerous invocations of horror movie history betray a studious attention to the genre, even if the film's humor and self-referentiality often transcends the bounds of any single classification. Beyond the satisfying kitschiness of recognizable genre elements, though, is a film's basic need for structure and character. Us impresses more with the latter than with the former. First, the latter. 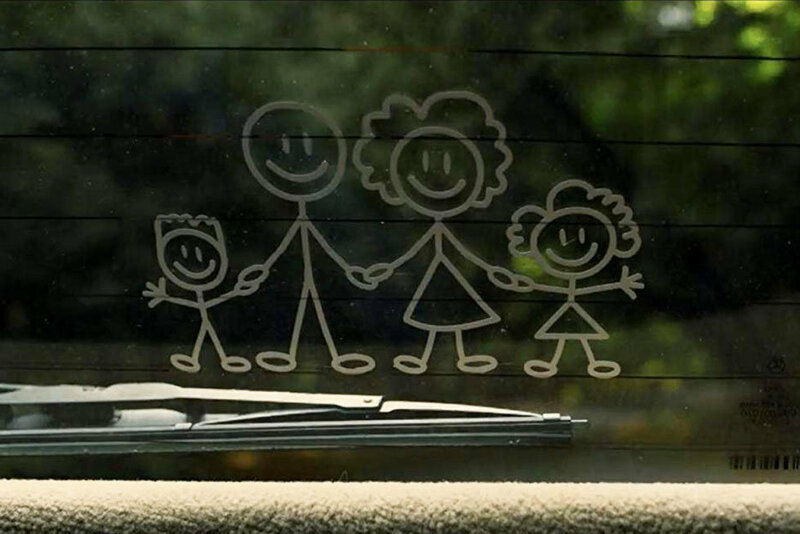 The main characters here are the Wilson clan — the mother, Adelaide (an extraordinary Lupita Nyong'o), the father, Gabe (Winston Duke), their teenage daughter, Zora (Shahadi Wright Joseph) and their younger son, Jason (Evan Alex). This is mostly Adelaide's story, however, and the film begins with a flashback to her childhood. It's the '80s (Hands Across America has a prominent supporting role), and Adelaide (played here by a wide-eyed Madison Curry) and her family are vacationing at the beach in Santa Cruz. While her parents are bickering, she wanders off into a hall of mirrors and, to her horror, finds that one of her reflections has a life of its own. Adelaide is traumatized and, as she grows up, eventually learns to channel that energy into dance. In the present day, full-grown Adelaide and her family are headed back to the same beach, though not without Adelaide's fervent protests. (Gabe seems to be unaware of her traumatic history.) They meet up with family friends Josh and Kitty Tyler (Tim Heidecker and Elisabeth Moss) and their bratty twin daughters and, for the time being, Adelaide's worries are kept at bay. But while the adults are chatting and drinking, Jason wanders off to the bathroom and runs into a bedraggled man standing with his arms out and dripping blood. He's transfixed, but snaps out of it when a distraught Adelaide finds him and scolds him for straying. That night, the Wilsons are getting ready for bed when the kids notice four shadowed figures standing in front of the house. Gabe goes out to investigate, but the figures remain silent. It's only when he's up close that he can make out the details: the figures are wearing red jumpsuits and wielding large golden scissors. But there's something even more unsettling about them. Jason, who has tagged along with his father notices: "It's us." What follows is a standard home invasion scene but with a twist. Red, Adelaide's doppelgänger, is the only one of the Tethered (as we soon learn they are called) who can speak, and whereas Adelaide's voice is soft and pleasant, Red's is deep and raspy, as though a second voice is concealed beneath and trying to escape. The other doppelgänger have quirks, too, even though they don't talk: Abraham's beard is longer than Gabe's, Umbrae's hair is wilder and her smile wider than Zora's and Pluto's mask conceals burns across the bottom of his face. But we soon learn that it's not just the Wilsons who have doppelgänger. Josh, Kitty and their daughters do too. Although the Wilsons are black and the Tylers are white, Us isn't necessarily interested in making easy racial distinctions. The Wilsons are certainly more likeable than the conceited, sleazy Tylers and their bratty twins, but Peele doesn't draw that disparity out to the point of casting the Tylers as villains (despite their annoying qualities, Moss and Heidecker play the characters mostly for laughs). It's nice to see the white characters as expendable and the black characters as the ones with depth for a change, but even so, the Tylers' placement in the narrative serves a more important purpose. With Josh and Kitty, we gradually begin to see the worldly implications of the Tethered's existence beyond the confines of the Wilson family. One of Us's great strengths is that the film is able to be engaging and convincing on both micro and macro levels. As in Get Out, there are important points to be made, and the scope of its social consciousness is impressive and laudable. On the other hand, though, Us's commentary is undeniably murkier; whereas in Get Out the harpooning of well-meaning liberal whites is as clear as day, Us's ambitions are less clear. What is the meaning of this doubling? What does Hands Across America have to do with anything? There are certainly racial (of course) and class-based points being made here, what with a separate underclass of doppelgänger existing in the tunnels below, hellbent on taking their counterparts' places. But it's more difficult with this formidable conglomeration of elements, to compress the film into a singular narrative. This will likely be intriguing for some viewers, who will gladly sift through the ephemera in search of every last detail, but there are others who will no doubt be slightly disappointed, if not turned off, by the film's conceptual heft. Still, if Us takes a step back from Get Out in certain regards, it's not roundly a worse or less fascinating film. 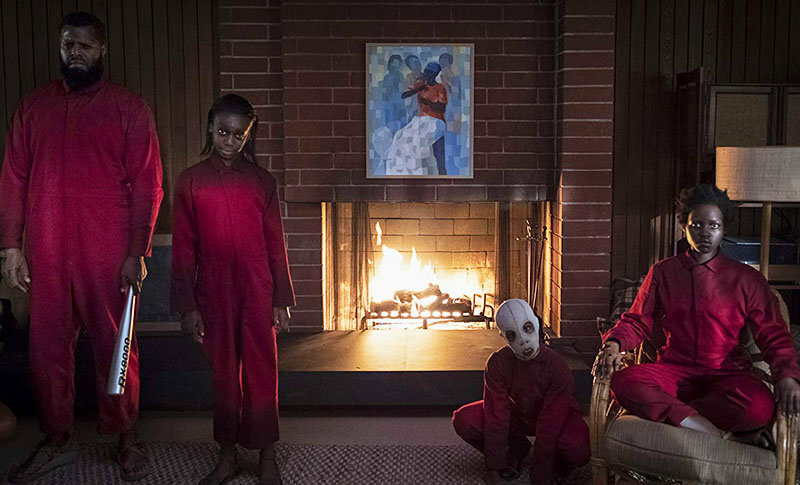 Peele's all-or-nothing mode renders Us somewhat bloated (a last-minute twist is compelling but arguably unnecessary), but there are other ways in which it is a confident step forward. Consider everything repurposed from horror movie history and made new: the red jumpsuits from Steven Spielberg's Close Encounters of the Third Kind (1977), the sweeping camera and eerie twins from Stanley Kubrick'sThe Shining (1980), Alice in Wonderland's white rabbits (Tim Burton, 2010), the masked invaders of The Strangers (Bryan Bertino, 2007) and an ageless theme of doubling that calls back to Dostoevsky, Dr. Jekyll and Mr. Hyde (B. Luciano Barsuglia, 2017) and countless other works. Some of these elements are satisfying more on a purely aesthetic basis, but nothing is too overwrought as to be cheap. Then there's Hands Across America, which, by the end of the film, becomes possibly the most important reference in the film's trove. In 1986, approximately 6.5 million people held hands and created a human chain across the contiguous United States. With the film's Tethered, we have a reenactment of sorts. Aerial camera views show thousands of red jumpsuits, across fields, beaches and mountains, as the Wilsons contemplate what amounts to a sort of coming apocalypse. Although much of the film's action comes at night, it's in the daylight that everything comes together. (Cinematographer Mike Gioulakis finds something especially unsettling about the sun and the beach, and his work here will no doubt make a lasting mark on horror cinema for years to come.) But with this impossibly long human chain also comes Peele's most inspired bit of writing. Us, it seems, can also come to mean the US, or the United States. After all, when asked who she and her family are, Red makes it explicit: "We're Americans." (Richard Kelly, 2001) it's poised to eventually stand for something much larger than it does today — in coming years, look for it at midnight cinemas near you. As for what it all means, let's just hope we can get to a point where that matters less than what it reckons with on a carnal level.